BLOG Photo Booth Attendants Wanted! 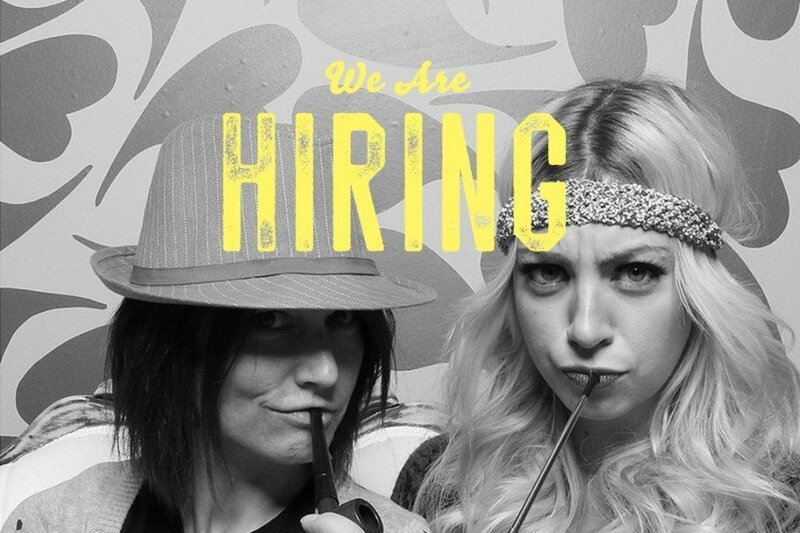 Silly Booth is hiring smart, energetic, personable and outgoing photo booth attendants for weddings, corporate events and parties for our Calgary location. You don’t need to be a photographer, but must have basic experience with computers. You must be available on weekends and weekdays and have a reliable car/SUV. This is a fun, well paid position with long term potential. Many of our staff have been with us for over two years and is part of our family. Training will be provided, we will also work with you until you are comfortable on your own for events. You will be scheduled most likely a month in advance and can work from 1-4 events per month depending on your availability and the time of the year. Some attendants work upwards of 7 events per month during our busy season. Customer service is the most important part of our business, and our reputation is what makes us the best photo booth in Calgary and Vancouver. ­Driving from our Calgary office to event location, sometimes in Banff and Lake Louise. Setting up photo booth, props, equipment and backdrops. Ensure booth is operating correctly and troubleshooting any technical issues that may arise. Assist guests with the photo booth for the time that the photo booth is active, making sure everyone is having a great time. Sometimes assisting guests with a scrapbook. Being a great ambassador for Silly Booth. Tearing down, and loading equipment back to our studio. Events work days run 5-10 hours depending on location. ­Must be very punctual and responsible. You must be on ­time at every event. No exceptions. Must be professional, polite and dress professionally. You will represent the company. Must be friendly, extroverted, engaging and outgoing. We want to give our clients a fun and great experience, which includes your smile and demeanor. Must be available and able to work weekends and other days of the week some times. Must be able to lift at least 40-50 lbs. Must be at least 21 years old, to work in bars or venues where alcohol is served and sold. Must have your own reliable car, a valid drivers license, valid proof of insurance and good driving record. Must allow us to run a criminal background check as we work with children and at retail stores. Must be PC tech savvy to trouble shoot computers and cameras when something goes wrong. Must love going to parties and fun events! Must be able to perform physical activity of setting up booth. Must be dedicated and hard working with excellent customer service skills. Must be able to calmly handle stressful situations and all types of crowds from small children to unruly adults. We are looking for someone that is available to host events on Fridays and Saturdays and commit up to four gigs a month (normally less). Candidates that are also available on weekdays, will be given preference.